(acc. 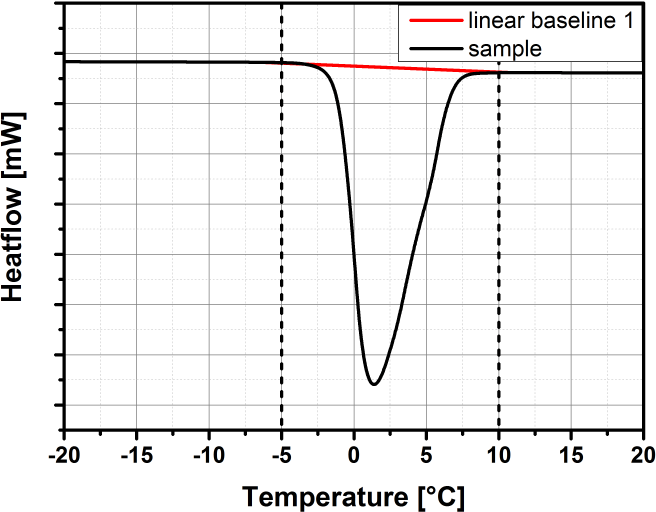 to DIN EN ISO 11357-1:2010-03) The virtual baseline corresponds to the heat flow signal if the phase change enthalpy would be zero. It is usually constructed by a straight line between the peak start temperature and peak end temperature. 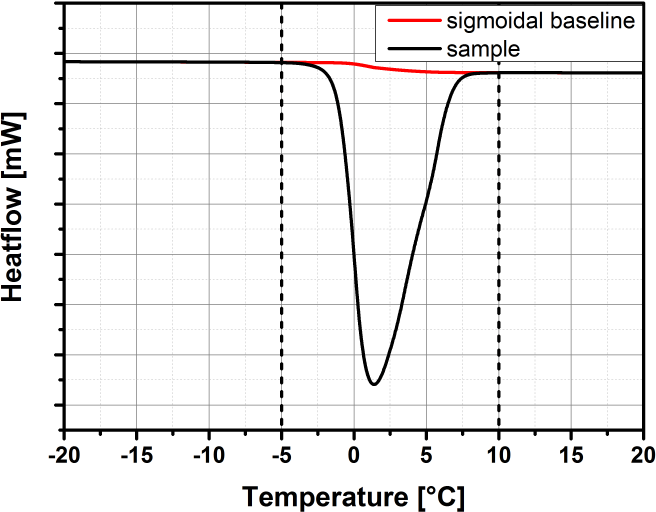 If the heat capacity between liquid and solid phase is very different, the use of a sigmoidal baseline is recommended. Since the baseline is used, among other things, to determine the heat of fusion, the determination of heat of fusion depends on the "correct" choice of the baseline. 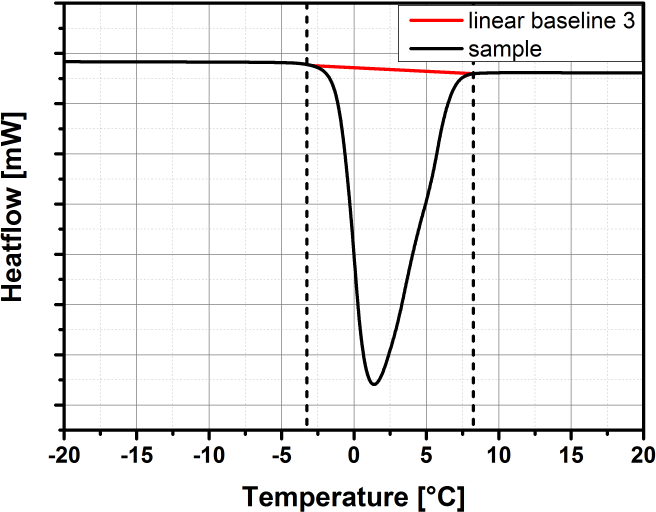 In addition to the curve progression (linear or sigmoid), the baseline is dependent on the selected start and end temperatures. 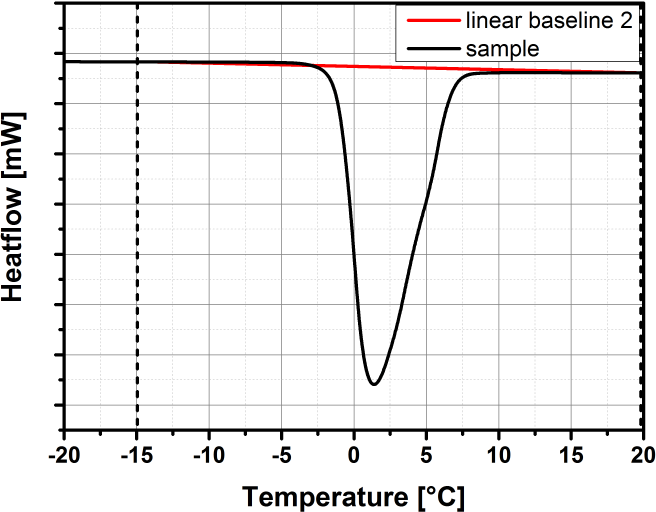 Therefore, it is crucial to measure a sufficiently wide temperature range to identify the course of the heat flow signal outside the peak.